Ghpage.com yesterday published a trailer of the First Kumawood Pono Movie and trust me, it was Ugly AF.It is the least we expected from the Kumawood movie industry when we chanced on the video. Ghpage.com was just disappointed, and that’s not to say we didn’t expect that.The p*rn movie industry is one of the most lucrative and richest entertainment industry in the world. So, for movie makers to copy or replicate such ‘acts’in our local movie is always tempting.As much as our cultural settings do not accept it doesn’t mean people do not like or enjoy it. 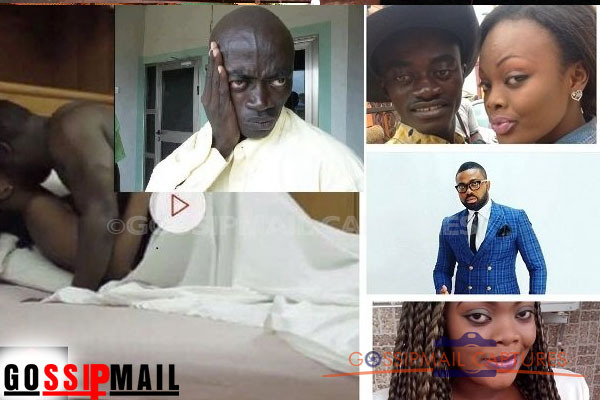 However, Kumawood’s richest actor Kojo Nkansah LilWin has rejected the idea of starring in p*rn*graphic movies now or even in the near future. Speaking to Kumasi based Nhyira Fm, the comic actor described himself as unfit for such roles as he believes p*rn*graphic actors are supposed to be very handsome. “there is no ugly guy in those guys we see shooting p*rn. They use handsome guys for the job so I won’t worry myself over this”. He added that p*rn*graphic movies as a sin in the eyes of God and against the teachings of the Holy Bible.And concluding he said, the world would come to an end if he is to act a movie of such nature.